In the mood for some comfort food? Our favorite baked bean recipe is always in season, and the best part is that it’s so easy to make! All you really need are the few staple ingredients, and then you can choose to make any additional changes the way you want for a personalized flavor. This recipe establishes a savory and spicy profile, making it a particularly welcome treat after a long day. 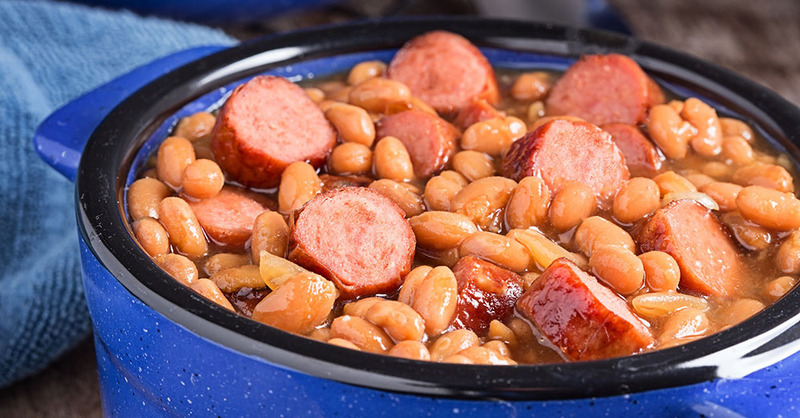 Pour can of beans into slow cooker, and stir in hot dog pieces. Stir in all other ingredients, and add salt and pepper to taste. Cook in slow cooker on high for 2 hours — or on low for 4 hours.